BOONE, N.C. – The Texas State women’s basketball team (9-13, 4-6 Sun Belt) could not hang with the Appalachian State Mountaineers (12-9, 6-4 Sun Belt) on Thursday afternoon at Holmes Convocation Center and lost by a score of 77-56. The loss is the fourth-consecutive setback for the Bobcats and is the sixth loss in seven outings. The streak is the longest losing streak of the season. Freshman guard Kennedy Taylor scored in double figures for the third-straight game since being added to the starting lineup. She tallied a team-best 11 points on 4-of-7 shooting, including 3-of-5 from behind the arc. Sophomore forward Jayla Johnson was efficient on the offensive end, hitting 5-of-6 shots and scoring 10 points. Senior guard Toshua Leavitt scored 10 points in the game, but it came at the expense of 4-of-21 shooting (19.0 percent) and 2-of-11 (18.2 percent) from the 3-point line. She fouled out with 1:23 remaining in the third quarter after playing 27 minutes. Appalachian State posted five double-figure scorers led by senior guard Madi Story. She notched a game-high 17 points on 5-of-8 shooting from the floor and 6-of-8 shooting from the charity stripe. The Mountaineers dominated the game from the free throw line. The home team converted 17-of-26 attempts (70.9 percent) from the line compared to 4-of-6 (66.7 percent) from the visiting team. Texas State started the game hot on the offensive end of the floor, scoring 20 points on 8-of-15 shooting (53.3 percent) from the floor. The 20 points scored in the first quarter marked the most points TXST has scored in the opening frame since tallying 23 points at Arkansas State on Jan. 19. Leavitt led the Cats with eight points in the first 10 minutes of play. Unfortunately, the offense sputtered in the second quarter. Appalachian State outscored Texas State 23-9 in the frame. Mountaineer sophomore guard LaPresha Stanley equaled the Bobcat output, making all three shots from the floor and going 3-for-3 from the free throw line. App went on an 8-0 run midway through the quarter and immediately followed with a 7-0 run to blow the game wide open. Texas State trailed by 17 points at the half. After a back-and-forth third quarter, Texas State started the fourth frame down by 19 points. Junior guard Bailey Holle opened the scoring with a 15-foot jumper before freshman forward Da’Nasia Hood canned a top-of-the-key triple and scored in the paint. The 7-0 run cut the App lead to 12 and gave TXST the momentum. After a 30-second timeout, the Mountaineers regained their composure and closed the door on any comeback attempt the Bobcats had left. The deficit grew to as many as 22 points before settling at the final score of 77-56. Up next, Texas State will play the third and final game of the road swing at 1 p.m. on Feb. 9 at the HTC Center against Coastal Carolina. Both coaching staffs will wear pink in an effort to raise awareness for the battle against breast cancer. 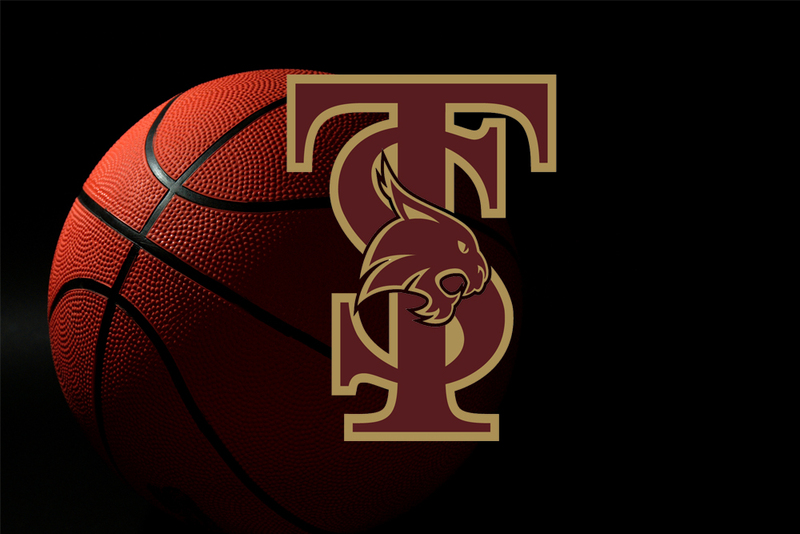 For all things Texas State women’s basketball, be sure to follow the team on Facebook, Instagram and Twitter.